In Spokane, WA, a workshop was held earlier this week to instruct residents on how to apply for traffic calming measures on their streets. The funds to be used for the program come from the city’s red-light enforcement program and include $140,000 for each city council district in the coming year. Neighborhoods need to rate their projects so that the ones with highest need are given funding priority. Four main categories are analyzed when assessing which projects should be funded: traffic volume, vehicle speeds, pedestrian activity, and the number of collisions. Conducting such thorough traffic studies ensure that traffic calming solutions are installed where they’re needed most instead of where residents are the most outspoken. Often, residents will overestimate the speeds of cars or number of pedestrians. 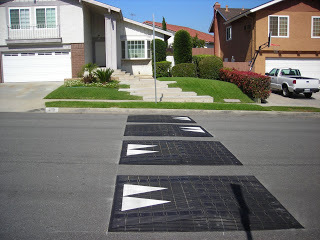 For more information on creating a point system for installing traffic calming solutions, visit the Traffic Logix Guide to Developing a Traffic Calming Program.